The reality is this is the first meet we're really prepared for. We're really ready to see where we're at and make big progress. Whenever you compete in an environment where you've been before, it makes it easier. It's a great track and a good facility, and one of the most competitive meets in the country. We're very excited to be traveling with the entire team. Right now we want to see everyone compete and have fun and I think as the weather gets better we'll start to aim for national goals. We need to continue to refine our ability to compete. 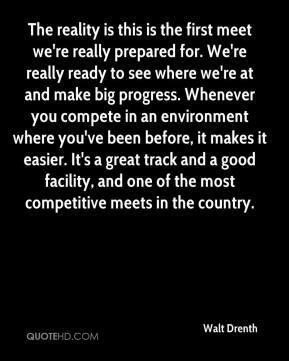 The more we immerse ourselves in the competition, the better prepared we'll be. We're not chasing marks as much as we are trying to win events. 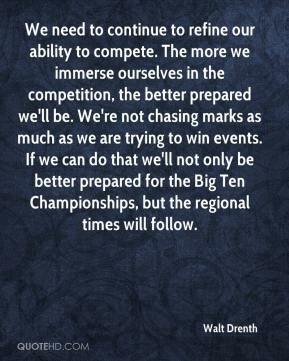 If we can do that we'll not only be better prepared for the Big Ten Championships, but the regional times will follow.